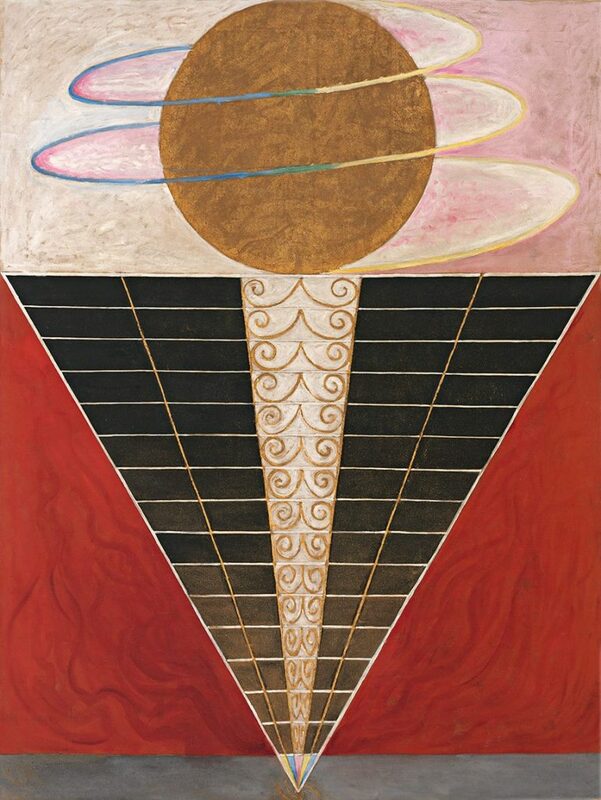 Contributed by Emma Stolarski / At the Guggenheim, Hilma af Klint’s paintings present themselves one by one, up the spiral ramp, just as she had dreamt in her sketches over 100 years ago. Her visionary drawing, Paintings for the Temple, was created during a session with her spiritual guides. She led a spiritually rich life and often met with a group of women to pray, meditate, and hold séances. Eventually, one of the spirits gave her a quest to make paintings and design a temple for them that would convey their messages from the beyond. She dedicated her entire life to portraying these spiritual interactions, but she kept her work secret. In her will she stipulated that the paintings not be shown until she was dead for at least 20 years. Countless reasons might have prompted this decision. 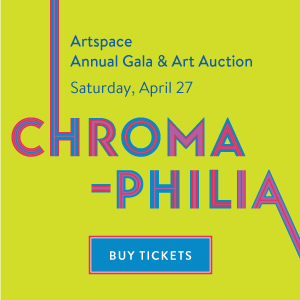 One possibility is that she was making abstract paintings at the turn of the century, well before any of her male contemporaries “invented’ the movement in 1910. Art history books cast Kandinsky, Malevich, and Mondrian as the pioneers of abstraction. This exhibition tells a different story. 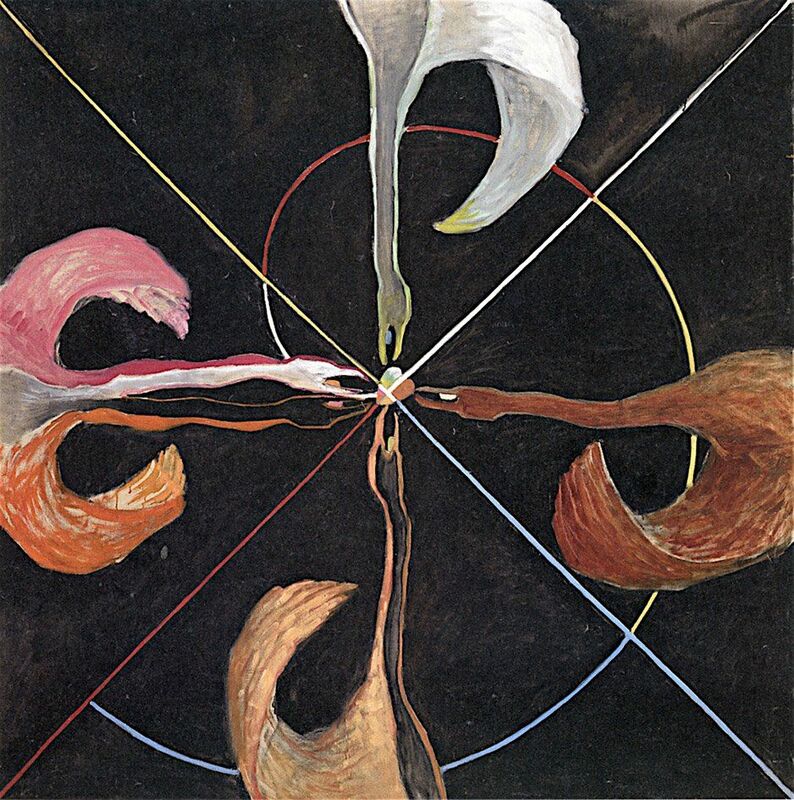 Af Klint’s spiritualism might also have constrained her from sharing her work. Her painting mentor appeared to find her spiritual communication unconstructively eccentric, and pushed her instead to create paintings based on introspection. She seemed to reconcile these influences by waiting for an audience she believed would be ready. Seventy-five years after her death, I wonder if we are ready – whether we are the audience she was hoping for. That the exhibition appears in a building that resembles her own temple suggests that perhaps we are the audience she intended. 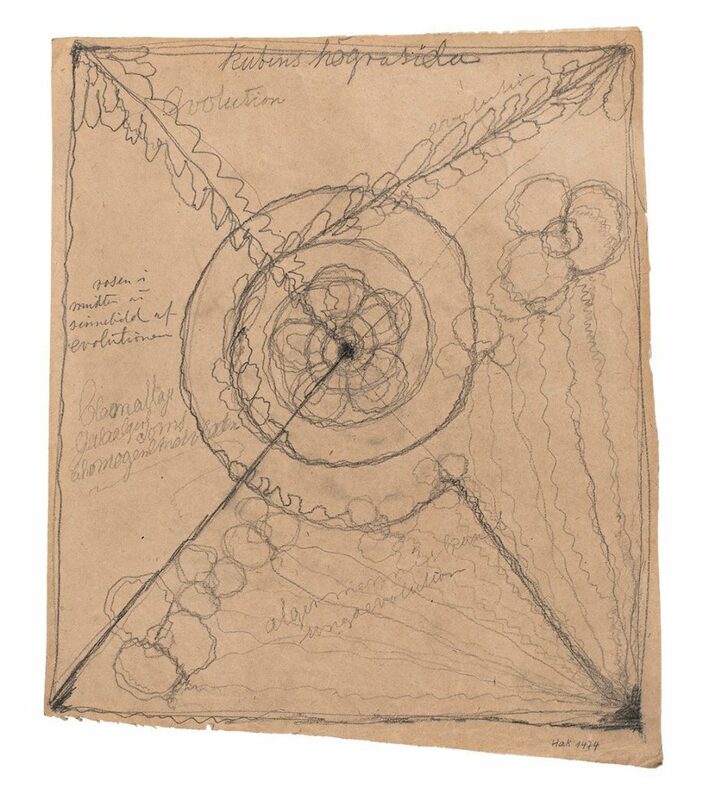 Frank Lloyd Wright, the Guggenheim’s architect, had never met af Klint nor encountered her sketches. Much like her, however, his belief in the unity of all things drove his vision for the museum’s design. The winding spiral does not have a single focal point, but rather a series of them that are connected to a greater whole. This multiplicity of possible centers suggests a constant movement yet balance between binaries, as seen in her series, The Swan. 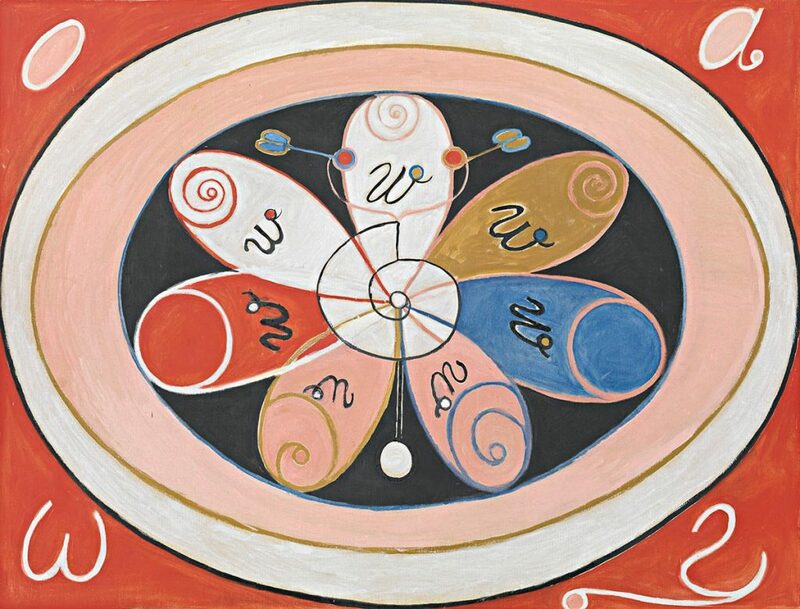 For af Klint, science and spirituality – customarily at odds – reinforced rather than contradicted one another. With each new discovery her curiosity grew and led to more questions. Though she hoped that scientific progress would bring us closer to the understanding of interconnectedness, it seems to have done the opposite. Our current ability to instantly communicate with one another across the world is a kind of miracle. But, with such ready connectivity and access to information, we seem to have grown more anxious and isolated. Social-media profile pages, for example, seem to have engendered an unnatural preoccupation with the self. 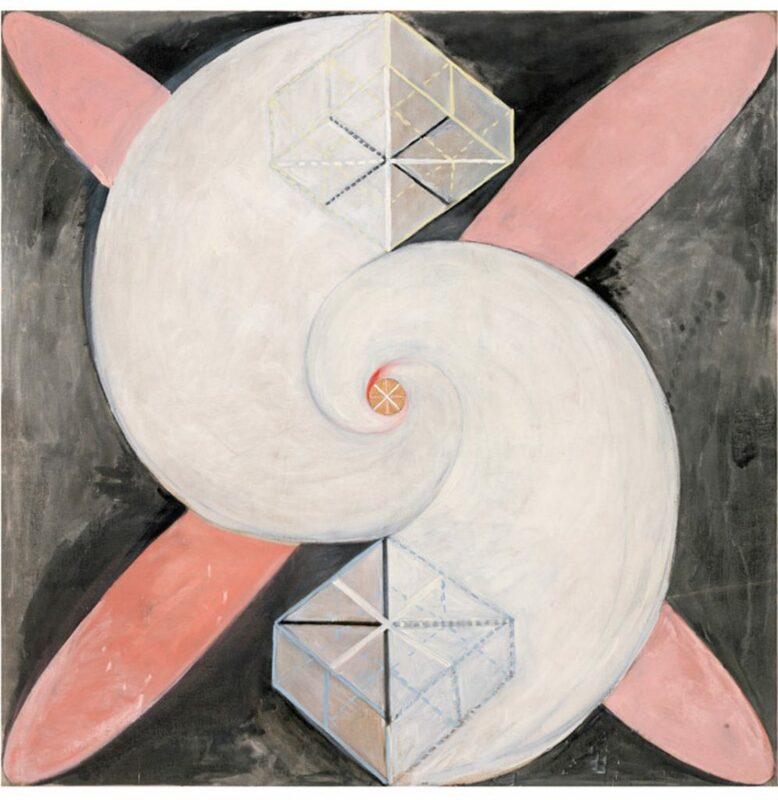 Af Klint’s “Paintings for the Future” are a potential antidote. Her works urge the expansion of our horizons. They not only reflect the enigmatic workings of our universe, but also ask us to question our own relationship to them. 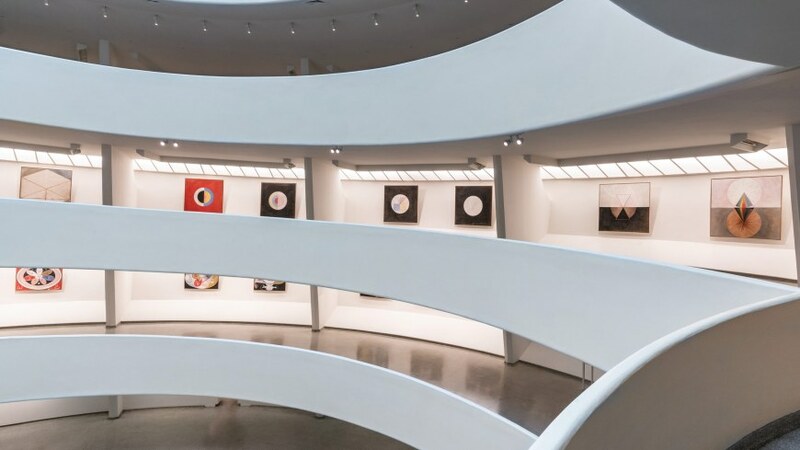 So when you walk into the Guggenheim and begin your winding ascent, consider the possibility that this show is in fact for you, as part of something greater. Beyond that, it may not be a mistake that now is the moment that this has all come together. And maybe it’s not because we are ready, but because we need it now more than ever. 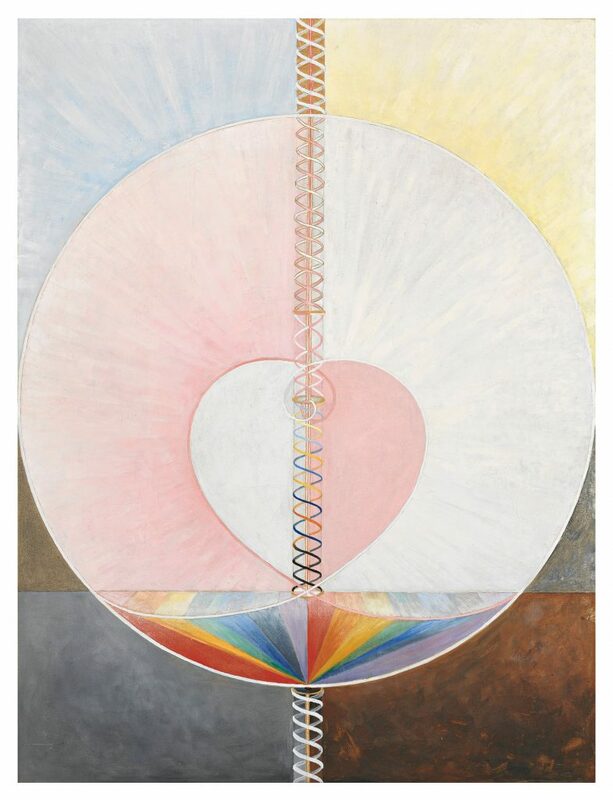 “Hilma af Klint: Paintings for the Future,” The Guggenheim, 1071 5th Ave, New York, NY. 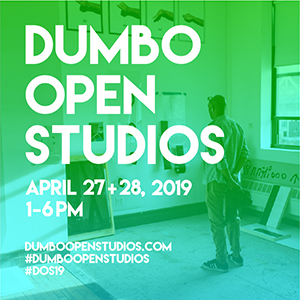 Through April 23, 2019. About the author: Emma Stolarski is an interdisciplinary artist and writer based in New York. 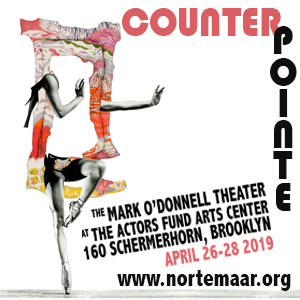 She is the Editorial Assistant here at Two Coats of Paint and works in various studios throughout the city. 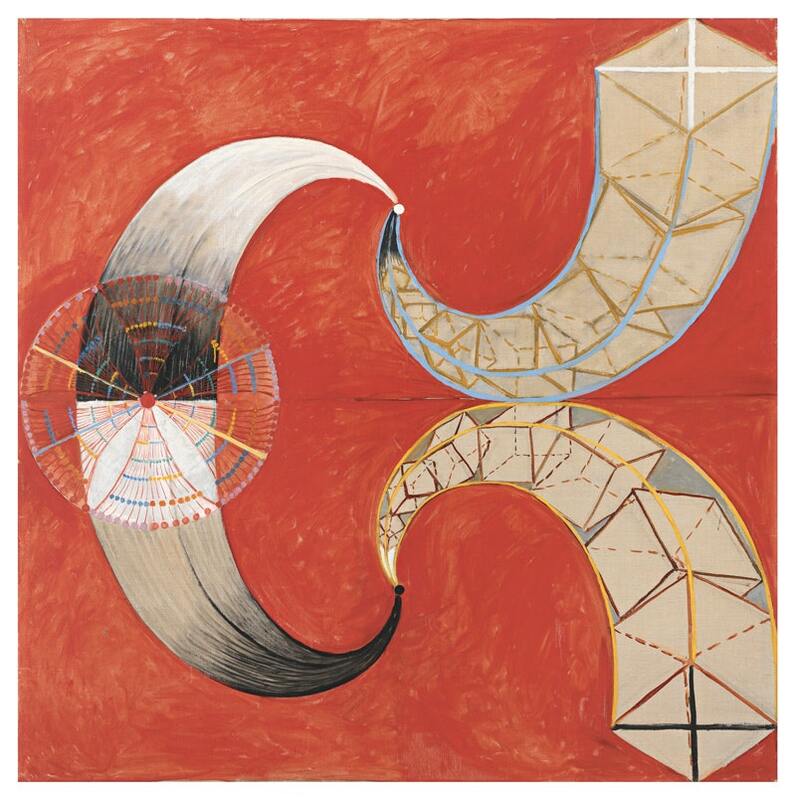 Who “invented” abstract painting (as a “style” in Western art, that is), or who was “first” to make abstract art, is far more complicated than what’s described here, and it’s certainly not Hilma af Klint. Christopher Knight (LA Times) tackles this question very well in his review (see below) of the recent Hammer exhibition of dozens of abstract drawings made by Victor Hugo in the middle of the 19th Century. 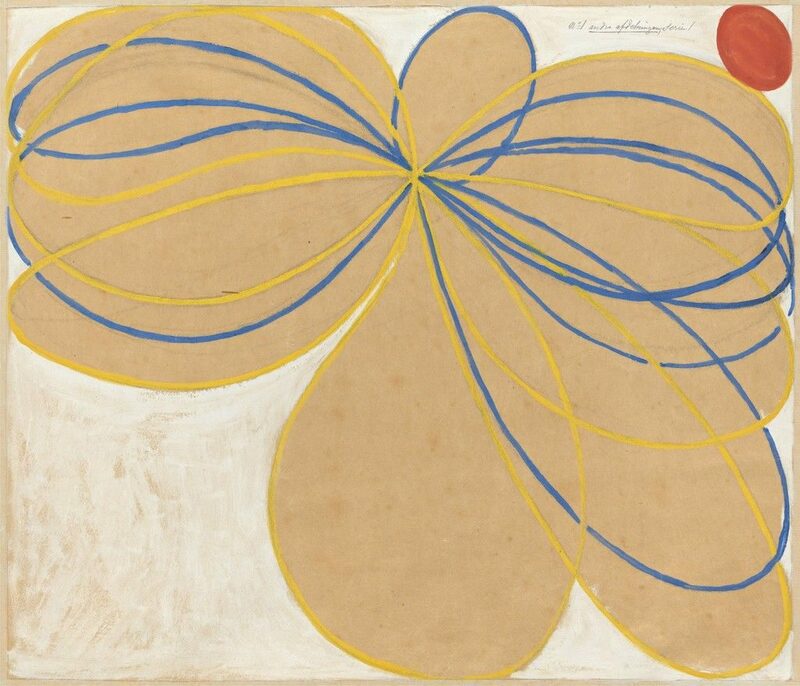 In his review, Knight also mentions the remarkable Georgiana Houghton, an English “spiritualist” along the lines of Hilma af Klint, who made abstract work very early in the 19th century. I’ll add the remarkable Maniere Dawson, a Chicago artist who seems to have made abstract paintings even earlier than Kandinsky. 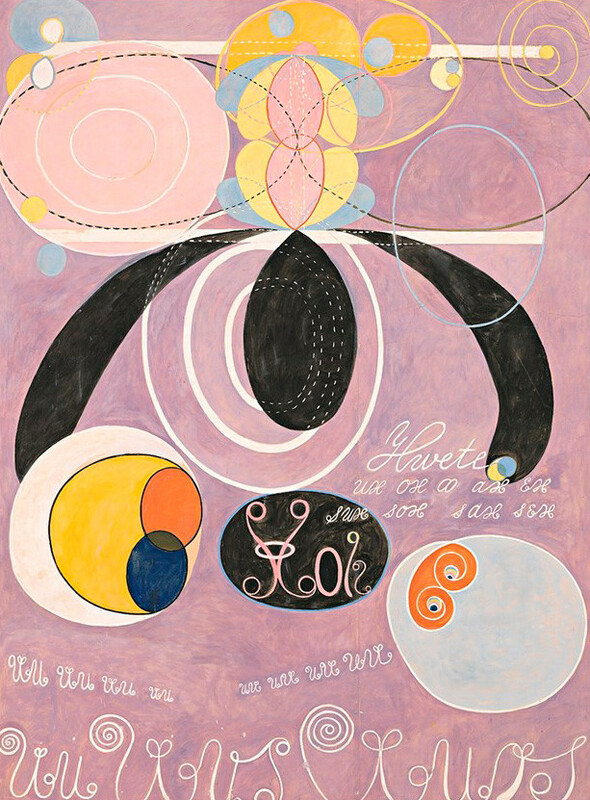 Great piece about Hilma af Klimt’s legacy and timeliness!